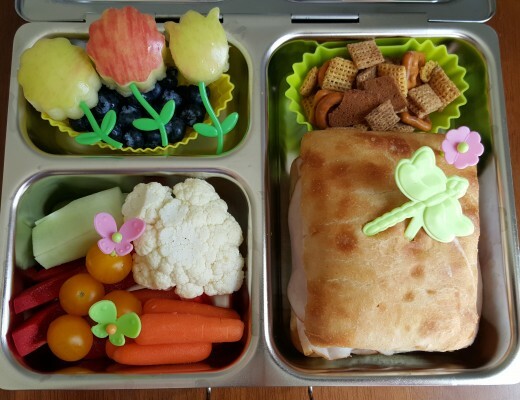 In this post, I will share a few simple sports-themed lunched my kids enjoyed this spring. The first is soccer-themed. It was packed in a bento box from IKEA. 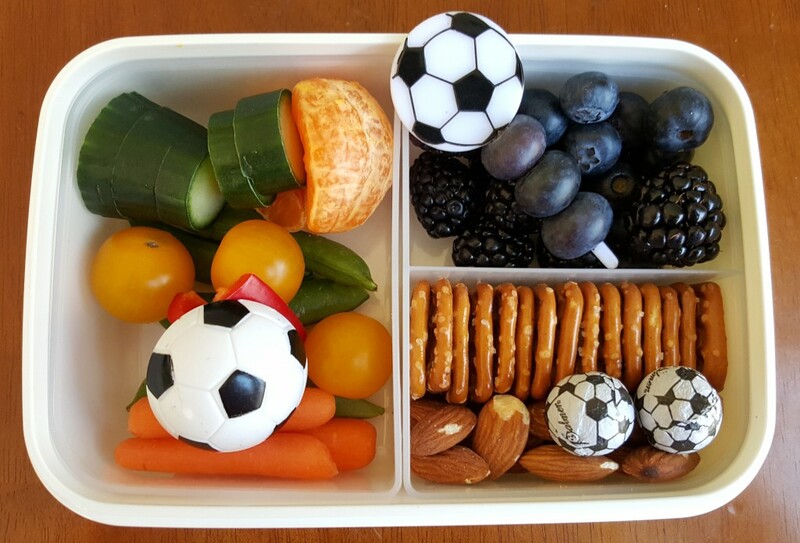 My daughter had a Milano cookie, pretzel snaps, deli turkey on a soccer ball pick, cheddar cheese, blueberries, carrots, a slice of red pepper, sunburst tomatoes, half a Cutie, sugar snap peas, and two soccer ball chocolates. 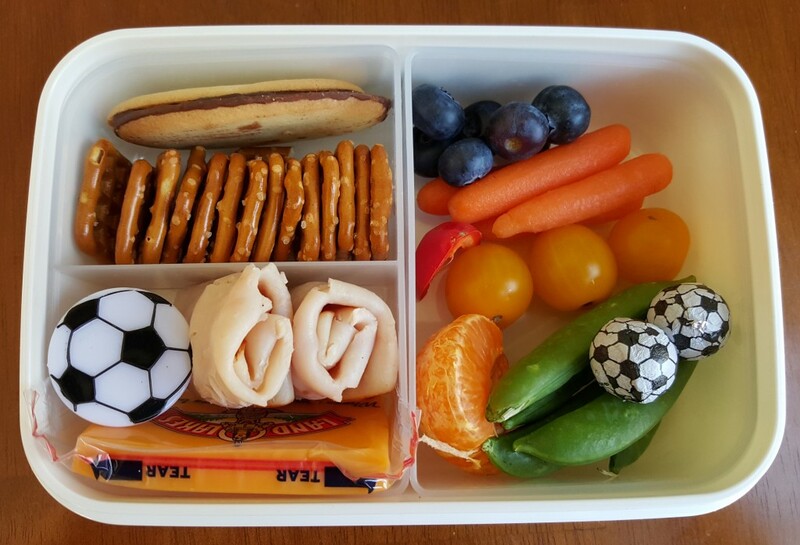 My son had a variation of this same lunch with more fruit and almonds instead of turkey. 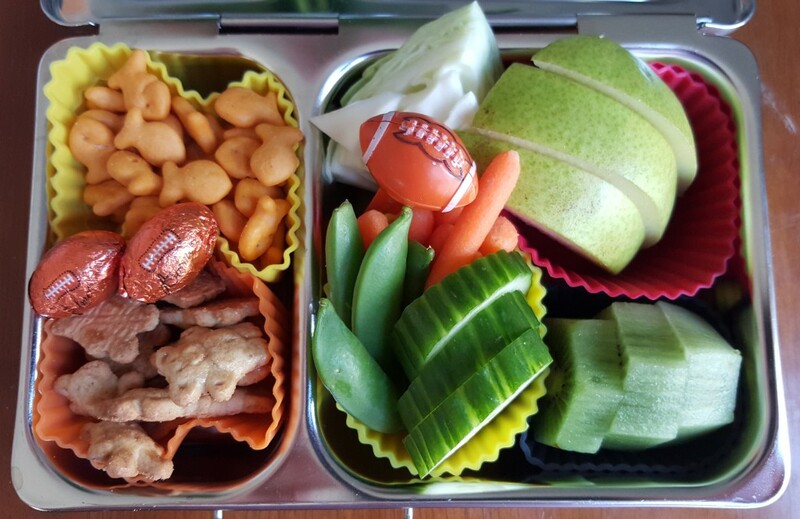 On a different day, my son had a football themed lunch in our Planetbox Shuttle. 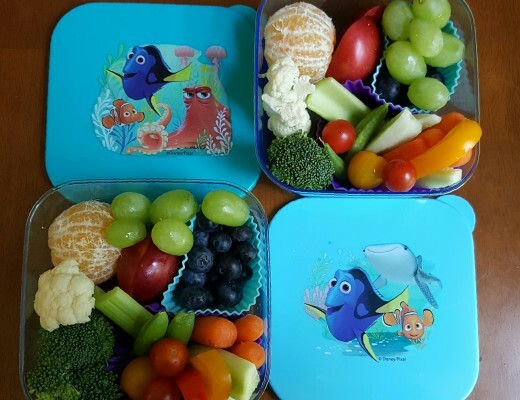 He had baby Goldfish, Teddy Grahams, two football chocolates, green cabbage, pear slices, kiwi, cucumber slices, peas, and carrots with a football pick. 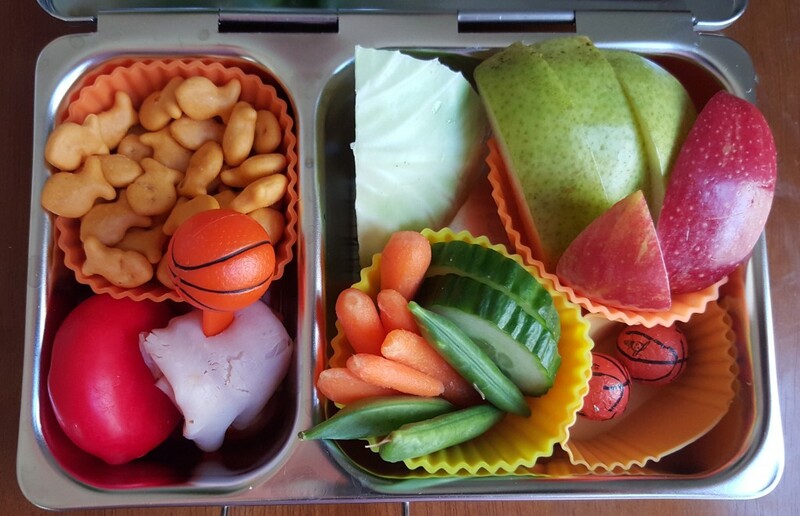 And on that day, my daughter had a basketball themed lunch in a Planetbox Shuttle. She played on a basketball team this past winter and had a wonderful experience. Her coach was very supportive and invested effort in helping his team members learn. My daughter’s interest in basketball and being part of a team really grew after being on his team. So, my daughter enjoyed a few basketball-themed lunches over the last few months and one is pictured above. It includes baby Goldfish, a Babybel cheese, turkey on a basketball pick, a chunk of green cabbage, veggies, pear and apple slices, and two basketball chocolates. 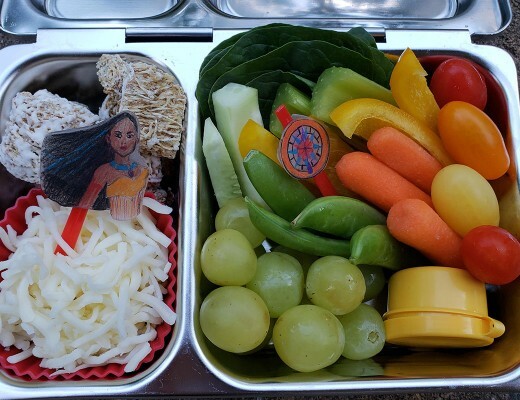 If you enjoyed these ball-themed lunches, you might want to check out my post about catch featuring a lunch inspired by Mo Willems’ Can I Play Too?